Teesta-Rangeet Tourism Festival, 2017, was inaugurated in Darjeeling by Binay Tamang on Wednesday. The five-day fest is being organised jointly by the GTA and the state government. Darjeeling: The Darjeeling hills are once again alive with music and dance in a year that was marked by violence and 104 days of shutdown. 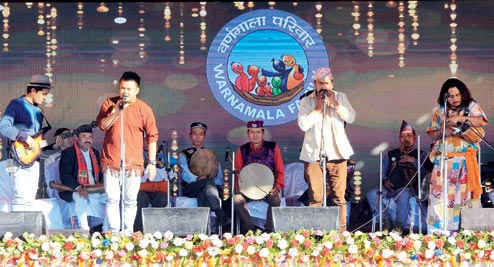 Binay Tamang, the chairperson of the board of administrators to run the Gorkhaland Territorial Administration, inaugurated the Teesta-Rangeet Tourism Festival at Chowrastha here on Wednesday. "There was a time when there would be no people at Chowrastha. I am talking of the situation we faced earlier this year. The hills were in doldrums and I would like to thank the public for supporting us and turning things around to make Darjeeling better." The festival - organised jointly by the GTA and the Bengal government - will be held across the hills over the next five days.